Mitt Romney released a Republican bombshell on Saturday, August 11 in Norfolk, Virginia. Romney’s announcement, that Congressman Paul Ryan would be his running mate, hit the Liberals like a lightening jolt. I am glad to say that Ryan was one of the four that I had in mind. The Liberals had settled on Marco Rubio or Governor Bobby Jindal or even Governor Bob McDonnell or maybe former Governor Tim Pawlenty, but Ryan, never! How could Mitt Romney, a Republican ‘moderate’, do such a thing? Well, to Romney’s credit, he followed through with a conservative vice presidential pick anchoring the GOP ticket as a conservative ticket! In selecting Ryan, Romney proves to conservatives that he intends to straighten out DC with conservative policies, both fiscal and social. 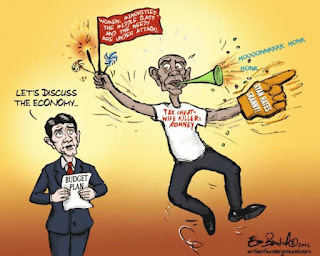 What has emerged since Saturday’s announcement has been total joy to most Republicans and chaos to the Obama campaign. So now the Republicans have a Vice President candidate who is articulate, well respected, intelligent, a devoted family man, a practicing Catholic, hunter, and is Chairman of the Budget Committee. 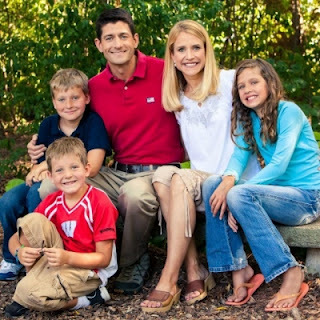 Ryan wrote the ‘Path to Prosperity’ a recommended budget plan to meet the future needs of Americans. Most controversial were the Medicare plans but rest assured that this plan, if implemented, will not affect those already on Medicare and those over 55. It remains to be seen, but I am of the opinion that because Ryan is a practicing Catholic, he will bring in the Hispanic Catholic vote. 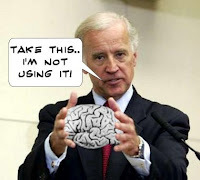 On the other side, the Liberals are entertaining a man, Joe Biden, who takes pleasure in being a buffoon. His latest ‘gaffe’ approved by Obama and his minions is totally unacceptable unless we don’t want to move forward to a time without racial prejudices. But the Obama’s of America want to keep the ‘Blacks’ back into a time that resembles slavery. Biden’s words, “Romney wants to let the—he said in the first 100 days, he’s going to let the big banks once again write their own rules–unchain Wall Street. They’re going to put y’all back in chains.” How is that for campaigning! If you will recall Obama announced Biden as his running mate and praised him for his Foreign Policy expertise, and as we all know that has been a total joke. Obama also believed that Biden being a Catholic would help with the Catholic vote as well as the blue collar workers of Pennsylvania, his home state. Obama got his wish. Catholics voted for Obama 54% and so did the blue collar workers in Pennsylvania. But since this disastrous match up, Obama has been determined to take away our Freedom of Religion and has done everything possible to shut down coal mining in Pennsylvania and West Virginia. So how has hope and change worked for these Obama supporters of 2008? Ryan is causing such turmoil that the opposition is screaming that Ryan is a ‘severe conservative’! No doubt in their minds he is, but in reality Ryan is just a great all around conservative. The attacks on Ryan began shortly after Romney’s announcement and have escalated to such lows that it is impossible to imagine what comes next from the Obama Campaign. I believe that before November, Obama will be so vile, so desperate that we should not be surprised at any of his nefarious tactics. 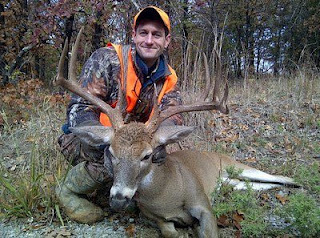 We have such a winner in Ryan completing the Romney ticket that it is hard to envision Obama being reelected. If this were to happen, then Obama will have indeed transformed America! 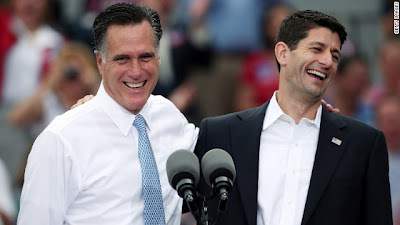 It is now up to us to stand firm and not let the media interfere with our great GOP presidential ticket, Romney/Ryan 2012!